Mono-ply Chinese penhold of super premium quality. Super premium mono-ply Kiso Hinoki penholder blade. Among the PLATINUM class HONMASA Kiso Hinoki woods which is already premium class wood, only top quality woods are selected for this "Special" version. KATANA SPECIAL boasts even more beautiful appearance and clearer sound then KATANA PLATINUM. Its rounded head and chinese type handle is focused on speedy close to table offense/block strategy. Super quality Kiso Hinoki will provide great pleasure of table tennis. 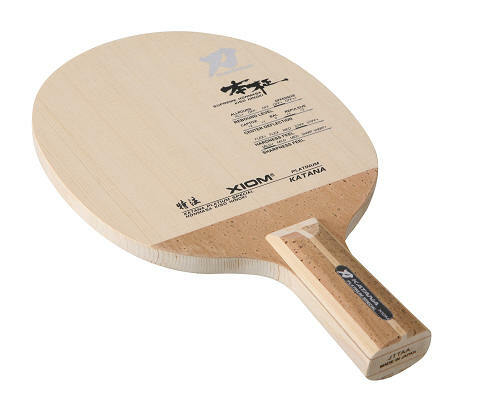 KATANA SPECIAL CP is suitable for both of close to table topspin with pimple-in rubber and classic fast attack with pimple out rubber. Made and approved in Japan.